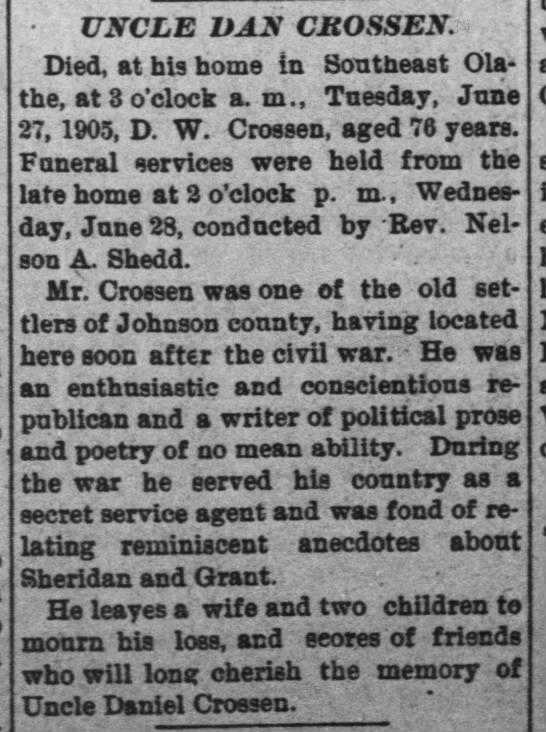 Died, at his home in Southeast Olathe, at 3 o''clock a. m., Tuesday, June 27, 1905, D. W. Crossen, aged 76 years. Funeral services were held from the late home at 2 o''clock p. m., Wednesday, June 23, conducted by Rev. Nelson A. Shedd. 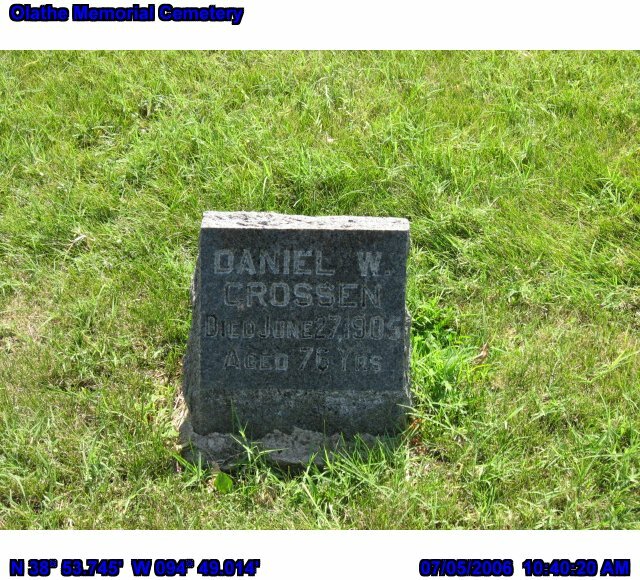 He leaves a wife and two children to mourn his loss, and scores of friends who will Iong cherish the memory of Uncle Daniel Crossen. 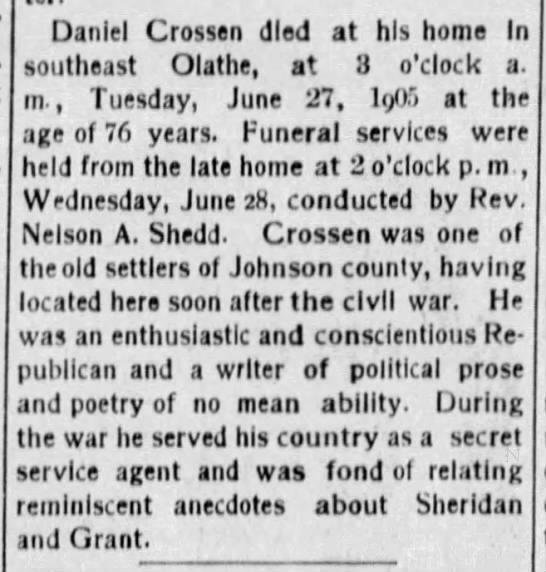 Daniel Crossen died at his home in southeast Olathe, at 3 o'clock a.m., Tuesday, June 27, 1905 at the age of 76 years. Funeral services ,were held from the late home at 2 o'clock p. m Wednesday, June 28, conducted by Rev Nelson A. Shedd. Crossen was one of the old settlers of Johnson county, having located here soon after the civil war. He was an enthusiastic and conscientious Republican and a writer of political prose and poetry of no mean ability. During the war he served his country as a secret service agent and was fond of relating reminiscent anecdotes about Sheridan and Grant. Please share your memories of Daniel W..